AMW Consulting was founded by Ann Marie Wood over 20 years ago. For the past 10 years AMW has been the official agent, in SA, for Kaplan study material. Ann Marie is well known in the financial industry through Investment Analysts Society where she has been the executive officer for over 23 years and held the executive officer position with CFA South Africa for 17 years. 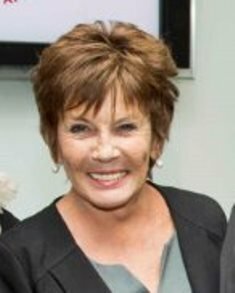 Ann Marie Wood was involved in the establishment of CFA South Africa and was the Executive Officer for the Society for 17 years. She has a vast knowledge of the CFA programme is available to interact with candidates. Kaplan Schweser has been navigating the challenge of the CFA® Program exam since 1990, and we understand what it takes to pass. Our Study Program has evolved over the years to create an engaging and motivating experience for CFA candidates, guiding them to exam success in an efficient and adaptive manner. Schweser has enhanced the learning experience and increased candidate success. Rooted in applied learning science and analysis, our team has designed integrated study tools that assess your performance and adapt as you move through the program, ensuring you’re making the most efficient use of your study time. You’re not just memorizing facts, you’re comprehending the material…leading to better outcomes on exam day. Schweser will guide you through the CFA Program…from beginning to end. With the largest global network of CFA charterholders and content experts, you know you’re getting the guidance and support you need to pass. We get it, you’re busy. That’s why we’ve designed a variety of study programs and materials to fit every lifestyle—from online to print, in both live and on-demand classes. Schweser is your one-stop shop on the path to your CFA Charter. We’ve developed a network of support for our candidates through our educational partners and 100+ societies around the world. This unparalleled network keeps you connected to the highest quality exam prep, live course offerings, and local professional support. You’ll hear a lot of false claims from various sources and prep providers about earning the CFA Charter. Here is what you need to be concerned with—over half of candidates fail the exam. At Schweser, we’ve been doing this a long time. We understand the CFA Program is difficult, but we also know how to help you pass. If you’re serious about passing the exam, we’ll tell you what you need to do and when you need to do it. Take your success seriously with the proven leader. In addition to these industry-leading tools, we’re proud to introduce Stanley into our Study Program. Stanley is backed by innovative technology that tells you what you need to do and when you need to do it. This intuitive guide ensures you’re efficiently navigating through your integrated suite of study tools. Stanley also provides assessment on how you’re performing, delivering a personalized learning experience to keep you motivated throughout your studies…and leading to better outcomes on exam day. For decades, the SchweserPro™ QBank has been known as a must-have among CFA candidates. This intuitive question bank provides thousands of (Insert # when being level specific: Level 1 3,800+ / Level II 3,000+ / Level III 2,000+) questions designed to accurately assess and adapt to your understanding of the CFA curriculum…providing you with better results. Adaptive and personalized technology has taken this world-renowned study tool to the next level. Question difficulty adapts to your level of proficiency on a given topic, testing the limit of your knowledge and keeping you motivated as you move through the content. Study on-the-go with the Kaplan Schweser app! It’s easy to fit in practice questions during your commute, lunch break, or between classes with the SchweserPro™ QBank at your fingertips. QBank quizzes are integrated with SchweserNotes™ to optimize retention of what you just learned in the books. Performance Metrics track your activity and exam preparedness by providing you a breakdown of your quiz score, average time spent on each question, and your performance compared to other candidates. SchweserNotes™ are now available on our online learning platform. The Notes are integrated with Video Lectures and quizzes to help you apply what you’ve learned and identify if you’re effectively understanding and retaining the material. SchweserNotes™ Online deliver each reading in bite-sized modules with complementary Video Lectures, making it easier to study efficiently in shorter segments. 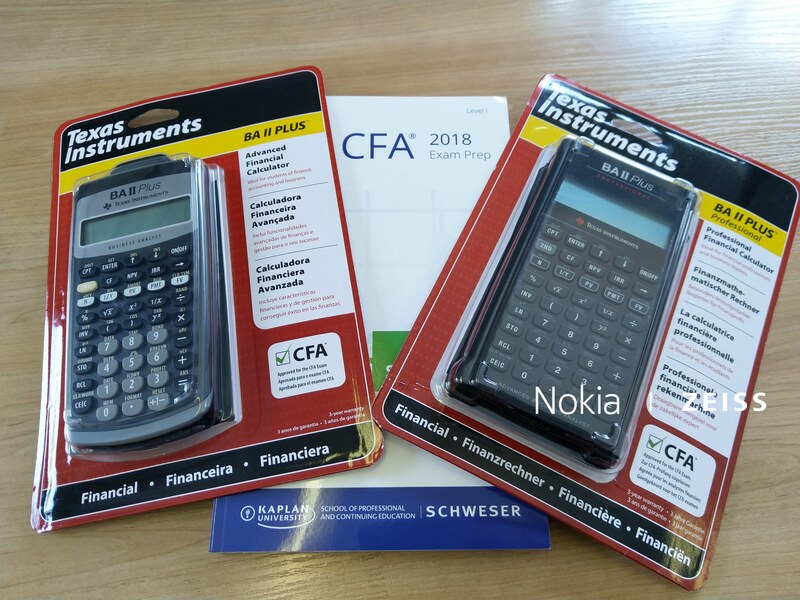 If you want to pass the CFA exam, make sure your study plan includes SchweserNotes™. You will be prompted to take three Checkpoint Exams as you work your way through the Study Program. These checkpoint questions mimic the difficulty and format of the actual CFA exam. Performance reports identify how well you understand the topics that have been covered and highlight weak areas where more review is needed. Topic-level assessments are designed to identify your level of mastery and provide direction for any necessary remediation. Topic Assessments can be taken within your SchweserNotes™ books or online. Life is busy, and you’re on the go. That’s why we’re excited to bring you the Kaplan Schweser app, putting our industry-leading study tools at your fingertips and allowing you to study anytime, anywhere. Your personal guide to passing the CFA® exam. The average candidate spends over 300 grueling hours studying for the CFA® exam. It’s not an easy journey—and that’s why Kaplan is proud to introduce Stanley into your learning experience. Backed by learning science and innovative technology, Stanley tells you what you need to do and when you need to do it within Kaplan’s Study Program. This intuitive guide ensures you’re efficiently navigating through our full suite of integrated study tools. Note: Stanley is a new component to the 2019 study program. Details such as further descriptions and graphic elements will be provided as they become available. Below are noteworthy changes that apply to the 2019 season. Mobile App is now available as a companion app to our study program. The app will become available early-mid September. Students will not be able to log into the app until after they have made a purchase. A minimum of 300 hours of preparation per CFA exam level is recommended, although some candidates will need more or less time, depending on their individual backgrounds and experience. There is no limit to the number of times you can take each exam, and you can take as much time as you need to complete the program. The CFA curriculum is dynamic and changes annually to meet the nature and complexity of the global investment profession. PO Box 131, Ferndale, 2160, South Africa.